A few hours into Titanfall 2's unexpectedly fantastic single-player campaign, there's a mission where everything pivots. The rules change, the story expands and the game shifts into high gear. That mission is called "Effects and Cause", and it is really good. This story originally appeared in November 2016. 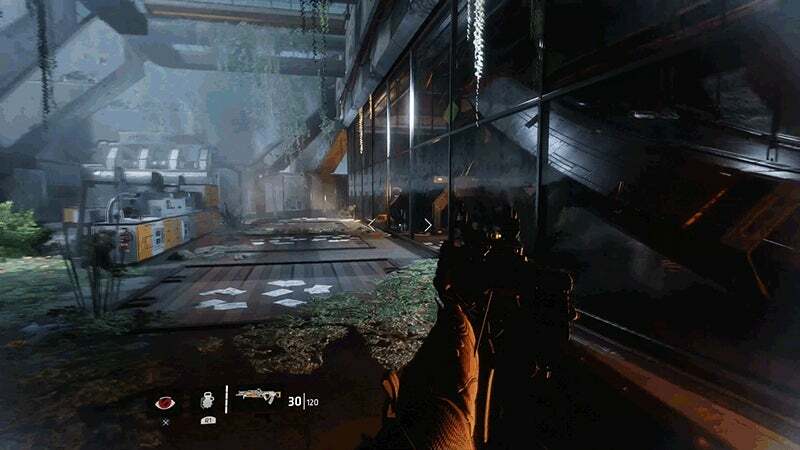 It has been retimed following a spike in interest in Titanfall 2, with the recent success of Apex Legends. "Effects and Cause" is the fifth of Titanfall 2's nine story missions. It's the most important mission in the game for a few reasons. It introduces the Fold Weapon, a world-destroying supergun that you spend the rest of the game trying to track down and destroy. It develops the relationship between your character Jack and his robot BT in some small but important ways that pay off down the line. And, most strikingly, it introduces a new time-travelling mechanic that cleanly wipes away whatever "Call of Duty with robots" preconceptions you may have had about what a single-player Titanfall campaign was going to be. 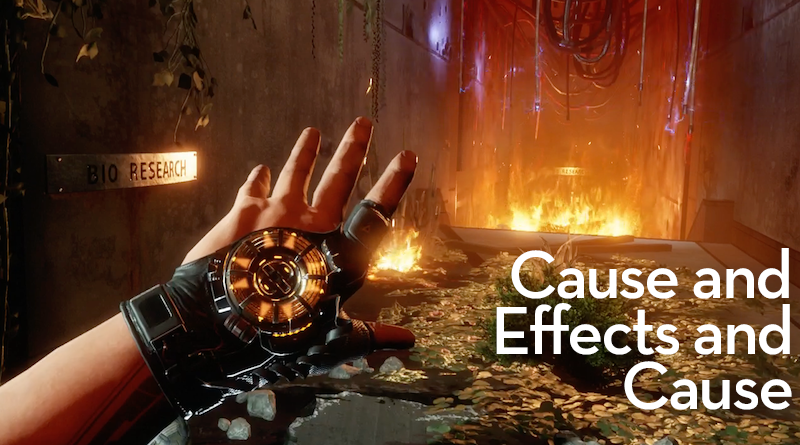 "Effects and Cause" exemplifies the focused, layered approach to design that the team at Respawn seem to have taken with Titanfall 2. It's a departure from their work on past games like Call of Duty: Modern Warfare, and helps form a more coherent, satisfying kind of singleplayer game. After establishing the basics in the preceding chapters, "Effects and Cause" rearranges the furniture. You're still wall-running, shooting, jumping and sliding, but with a twist. It's a hell of a twist. In the preceding chapter, "Into the Abyss", Jack and BT made their way through a massive facility used to assemble prefabricated homes for some unknown purpose. It was the campaign's first real signs of creative life after the more traditional opening chapters, and a good overture to the weirdness to follow. Boom, you're in a different version of the same room. Everything is well lit, and nothing is on fire. It's a clear, sunny day. This happens a few more times as you make your way through the facility. BT tells you there are temporal distortions around the facility, which means you've been stepping backward in time. He urges caution as you make your way toward Anderson. 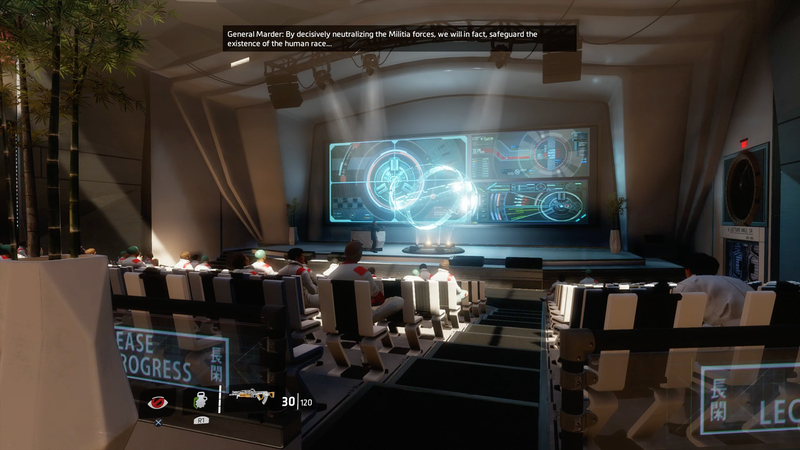 You then warp into a past version of an amphitheatre where an IMC General is giving a presentation on the superweapon they're working on that will take out the militia. This is just… this is a really, really cool way to deliver flashback exposition. 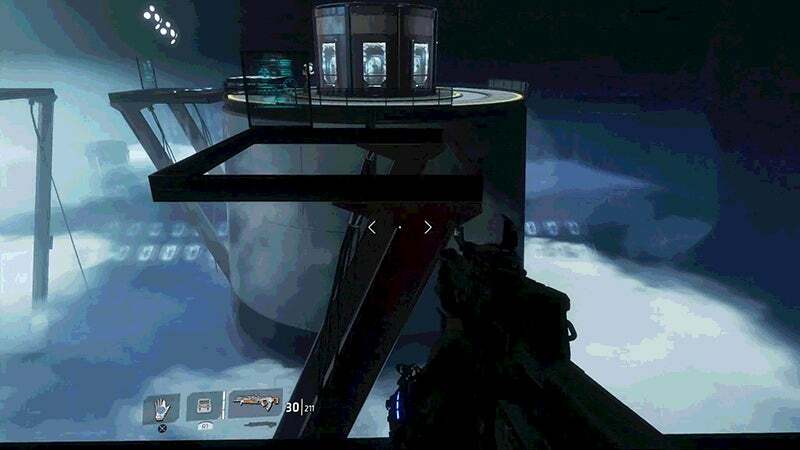 Most games would just have Cooper exploring the facility while listening to audio logs from the scientists who made the weapon, gradually learning their plan while making their way toward Anderson's body. This is a much more involved way to convey the same information, but it's also so much cooler. 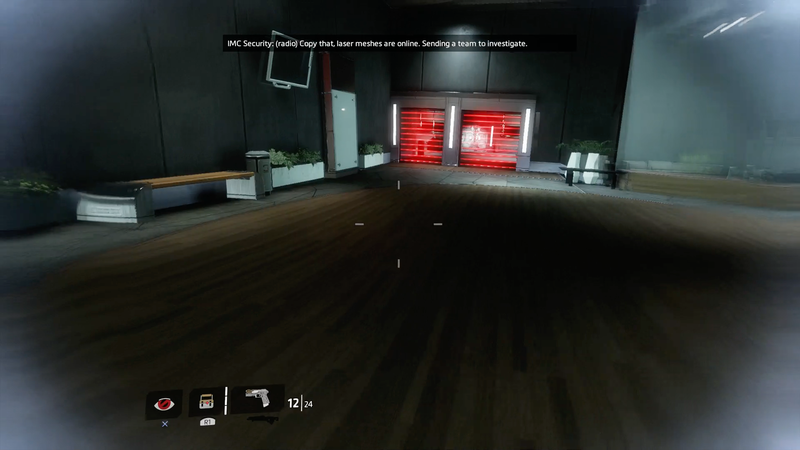 Anyway, you keep moving through the facility and the game starts to introduce some of the concepts you'll have to deal with over the course of the mission. You see a security guard in the past, frisking an employee. Jump back to the present and one of the lizard-like monsters from the planet's core bursts through a doorway, only to be whisked away by a larger, winged beast. 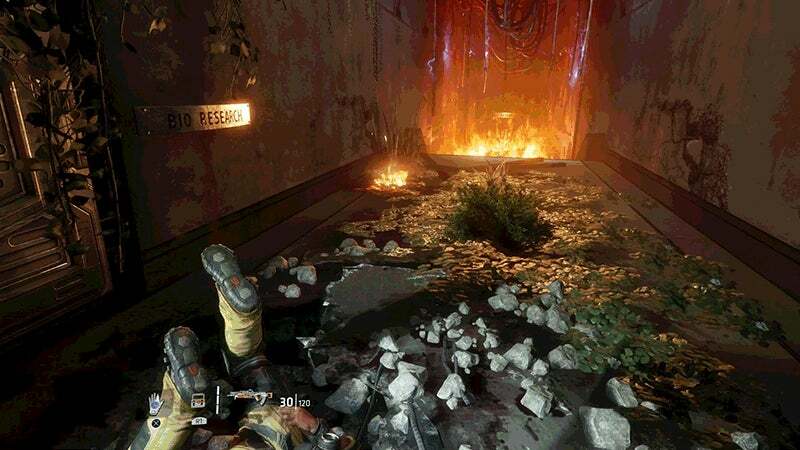 You head into another building and finally find Anderson, whose body has been wedged into a hole in the ceiling. You can only reach his helmet. You grab it and bring it down to BT, who tells you you'll have to get to the other half of Anderson's body. He then throws a lightpost into a higher floor on the building so you can reverse-zipline your way in. You get the option to tell BT that maybe he should just throw you next time, to which he responds, "Noted." It's not a momentous exchange or anything, but it lays the groundwork for all the times BT will throw you in subsequent levels. It's one of those little things that indicates the way Cooper and BT come to trust one another throughout the game, similar to how BT goes from calling you "Pilot" to calling you "Cooper" to finally calling you "Jack". The next section is what I came to think of as "the robot room". You're stuck in this enclosed space with about 30 slow-moving but dangerous robots. 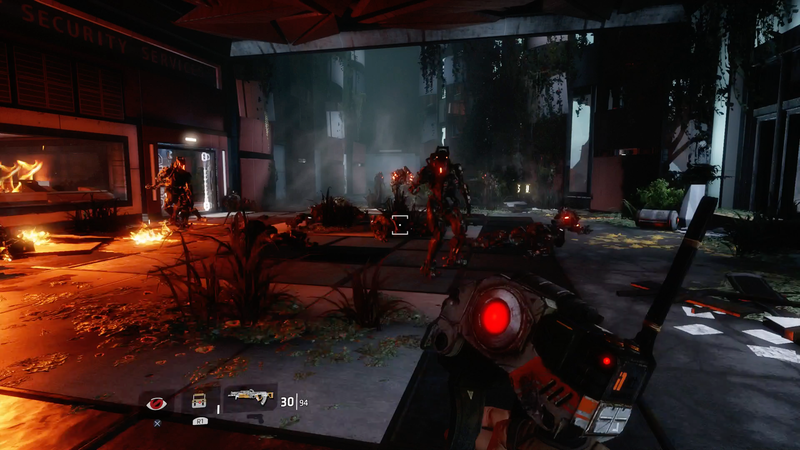 It's dimly lit and claustrophobic, and for a moment, Titanfall 2 starts to feel more like a survival horror game than a big-budget sci-fi shooter. It's a neat demonstration of how effortlessly the game can turn on a dime, give you a different sort of experience, then switch right back before you can catch your balance. …but as you approach them, you jump back to the present, when the lasers have been deactivated. …but once you kill them, you jump to the present and see their bodies amid the rubble. A hallway ahead of you is blocked with debris, but you jump to the past to get around it, which teaches you that the best way forward might be in a different timeline. You begin to hear radio chatter between security guards in the past, referring to some sort of breach that you soon realise is actually you, invading from the present. This brief series of encounters has established the rules that will apply throughout the rest of the level. 1) In the present, you'll have to worry about robots and wildlife. In the past, you'll have to worry about armed guards. 2) Some paths can only be accessed in the past or the future, and laser grids can block you in the past but not in the present. 3) You aren't an invisible ghost in the past. You're an active participant. Whichever timeline you're in, you'll be in danger and will have to keep yourself alive. Now that you're ready to take the wheel, the game gives it to you. Anderson's body is at the end of the hall, and Jack finally gets the temporal device. You're given the ability to freely jump between the past and the present. 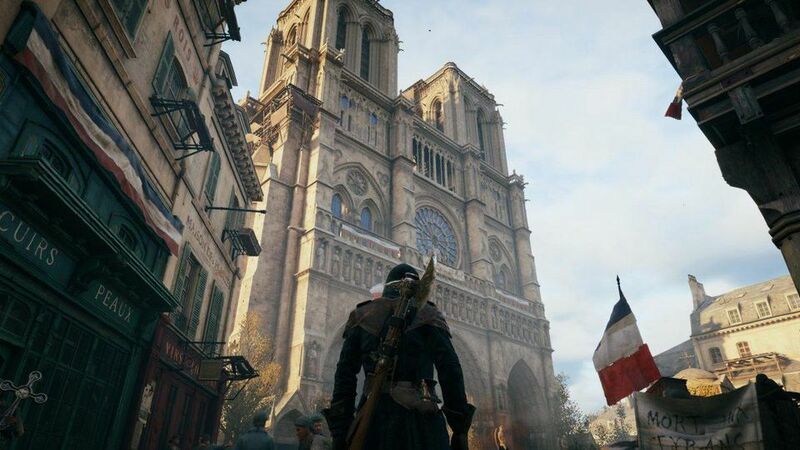 "Press X to time travel," the game tells us. 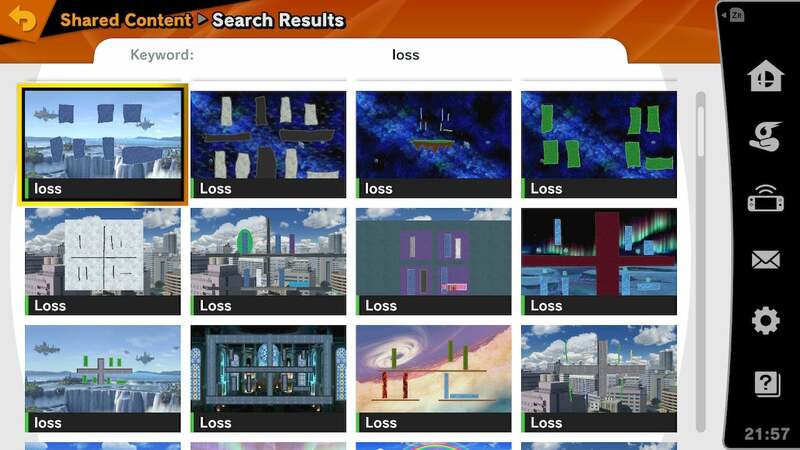 The first time I played this level, I was incredulous. Is this game really letting me do this? Yes. It was. The challenges stack from here, but always intuitively. In the present, the hallway in front of you is covered with live electrical wires, and the floor is on fire. In the past, you have a totally clear shot. Obviously, you'll have to jump to the past to proceed. The door leading out of the next room is covered in lasers, so you'll have to jump back to the present to go through it. Still in the past, you pass by a bunch of lizard beasts being held in cages. In the present, their cages are ominously empty. 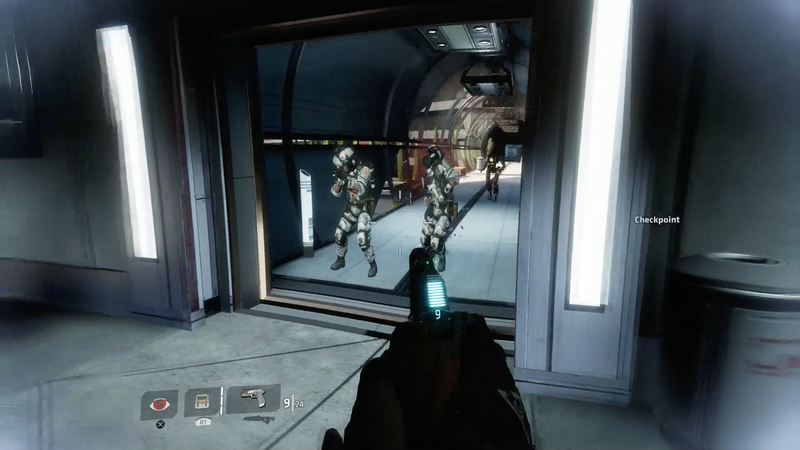 The next few rooms are full of soldiers in the past, but you can easily warp out of any situation, relocate and reload, then warp back. Best of all, when you warp into the present, enemies from the past leave a faint blue puff wherever you were standing, so you can be ready to ambush them upon returning to the past. As you begin to fight against the IMC guards, you overhear some enjoyable radio chatter from them. They don't understand how you keep disappearing. "Let's box him in," says one guard, confidently, unaware that his adversary has control over space and time. Now that you've mastered jumping in and out in order to easily take down IMC troops, the game layers on another consideration for you. Soldiers flood the next room in the past, but when you hop to the present, you find you're no longer alone. Those big lizard beasts have begun to come through the vents, and they're hungry. Encounters take on a new dynamic as you switch between fighting gun-wielding soldiers and quick-moving melee monsters, both in the same physical space. It makes for a brilliant challenge, if you can keep your head. You can still outwit and outmanoeuvre your enemies, but you've got to keep track of two different scenarios at once. That monster was up the stairs in that corner in the present, but that guard was down in the middle in the past. If I move down to the lower corner, I can take out the guard, then hop back to the present to kill the monster from range. OK wait, now the monsters have followed me into the lower corner… Can I get back to the top without getting shot? Are there any monsters up there, or will I be safe in the present? You get in a couple more fights like this on your way out. Each one gets more and more complicated and requires more complex situational awareness. The lizards get more numerous and aggressive. Shielded guards in the past encourage you to attack them from behind, but you can get behind them in the present as long as you relocate without getting your head chomped in the process. Each time-warp allows you to escape whatever's currently damaging you, but it's often out of the frying pan, into the fire. It's always extremely easy to trigger a temporal jump — you can even do it while jumping or while wall-running. The challenge is having the presence of mind to remember when is best to warp. The next few areas have you in the thick of combat, and each new area adds a new mini-wrinkle to the established formula. 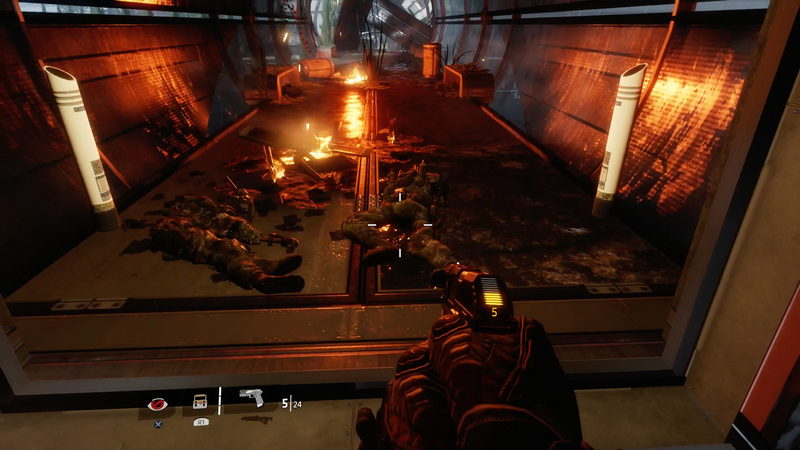 For example, there's a corridor filled with troops in the past that's literally on fire in the present, meaning that any respite from gunfire will have to be short-lived or involve wall-running. In between fighting you watch a few more of Anderson's holo-logs, where he learns that the Fold Weapon is powered by something called the Arc. It's all boilerplate sci-fi superweapon gobbledegook, but at least it's delivered in an interesting way. As Anderson talks you can swap between the past and the present and watch how the world changes. He's not actually in the past, but in one possible past, which is certainly more interesting than another audio log. The IMC commander says they're spinning up the massive outdoor rings you passed in the courtyard, presumably to test the device. Guess that's where you're heading. Next you come to a wide-open area that contains some nifty platforming challenges. First up there are some alternating platforms that will force you to jump, then time-warp to land safely. It's not exactly a challenging thing to figure out, but it's yet another cool idea layered on top of the core move-set the game has established. It also doubles as a nifty shout-out to Super Mario 3D Land. Clear another room of some dudes (and some present-day lizards) and you'll arrive at a wall-running puzzle. This one has one vertical panel in the past and one in the present. To clear the gap, you'll need to alternate wall-runs between the two, performing a time-warp in midair. Time it perfectly and you can even snag the helmet collectable suspended against one of the walls. None of these platforming puzzles is particularly challenging on its own, nor do they present the sort of involved spatial problem-solving of, say, Portal or Portal 2. They're simple and to the point, fun to solve and it feels good to figure them out. It's also amazing to me that not a single one repeats. Almost any game would have had you doing mid-air time-jumps for another 45 minutes, but Titanfall 2 is content to express the idea exactly once and then move on. Throughout the mission, you're being manipulated by the designers in ways you probably won't notice. 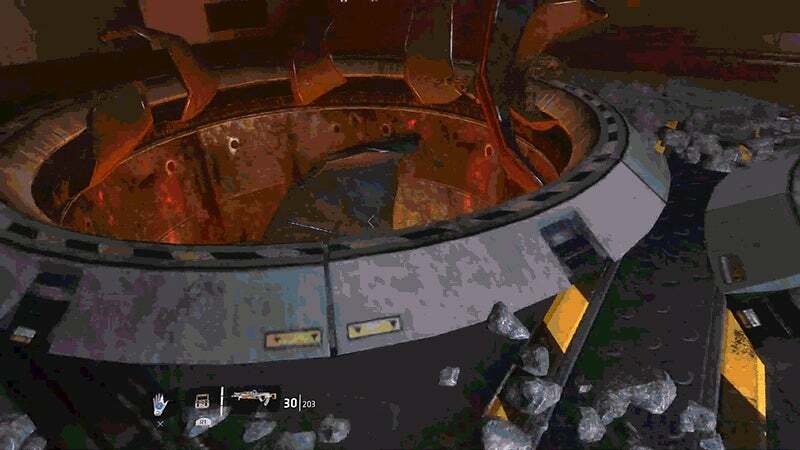 For example, the landing point at the end of the wall-running section is on fire in the present, meaning you have to warp back to the past before landing. Which is good, because the computer you'll have to activate to proceed only works in the past. If you had landed in the present, it would have taken longer to find it. Next comes the trickiest platforming section yet, where you'll have to time your warps in the middle of wall-running in order to bypass laser grids and avoid flaming and electrified surfaces. 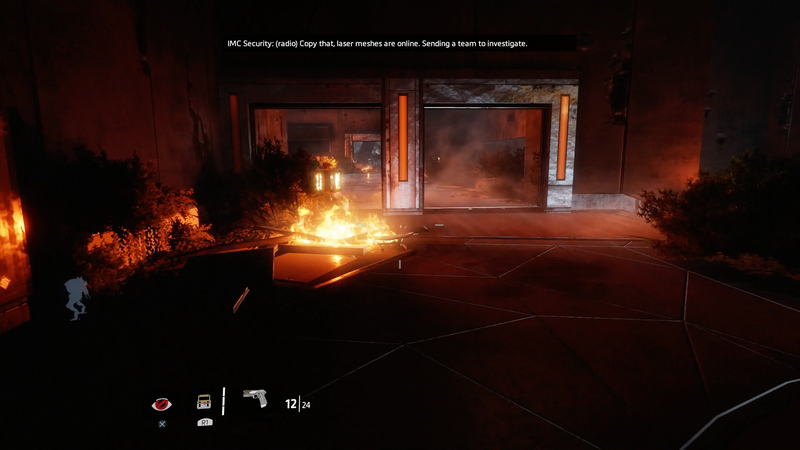 The brief sequence culminates in my favourite bit from the whole mission: You drop into a ventilation shaft and have to quickly warp multiple times to avoid flaming debris and spinning fans in both the present and the past. After you land, you watch Anderson learn that the Fold Weapon is going to be used to destroy the planet Harmony, and we watch him get sucked into... a time anomaly, I guess. BT tells you to meet him outside (and calls you "Cooper" in the process). One more major fight against soldiers and lizard monsters and you're back outside with BT and into the final stretch. Once you're back in the parking lots between the two research buildings, you can still use the device to hop back in time. You can even hop into BT and engage in temporal jumps from within him, taking your robot back to the past to fight off enemy titans. I took to emptying my clip into a titan, warping into the present to safely reload, then warping back to finish him off. You and BT fight your way toward the weapons test, which is still happening in the past. 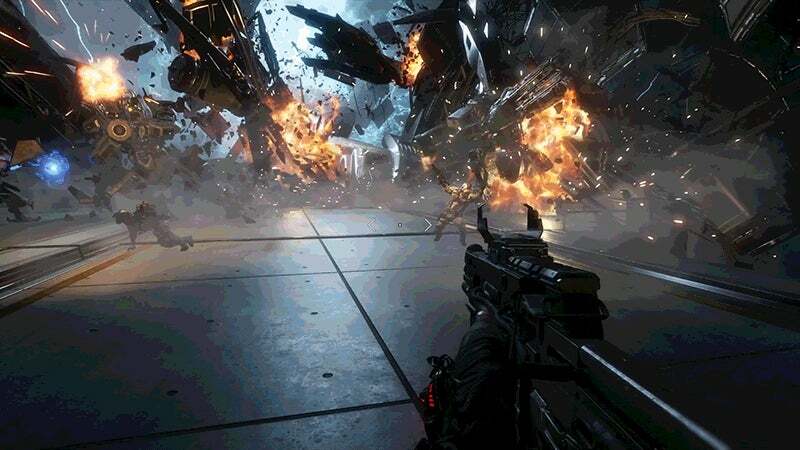 Right as you reach the experiment, the Fold Weapon test-fires and time freezes…. ...except for you. You're free to move through the frozen milieu. Turn around, and you'll see BT rushing into the fray. Ahead of you is a huge explosion and in the middle, the Arc. The first time I played this section, I was just laughing at the audacity of it all. You jump up and through the frozen troop transport, walk past some frozen dudes, then wall-run across some floating debris to the centre of the explosion. After arriving at the Arc and scanning it, the time-loop closes. You're back with BT in the present. Your time-warp gadget breaks, and the chapter draws to a close. 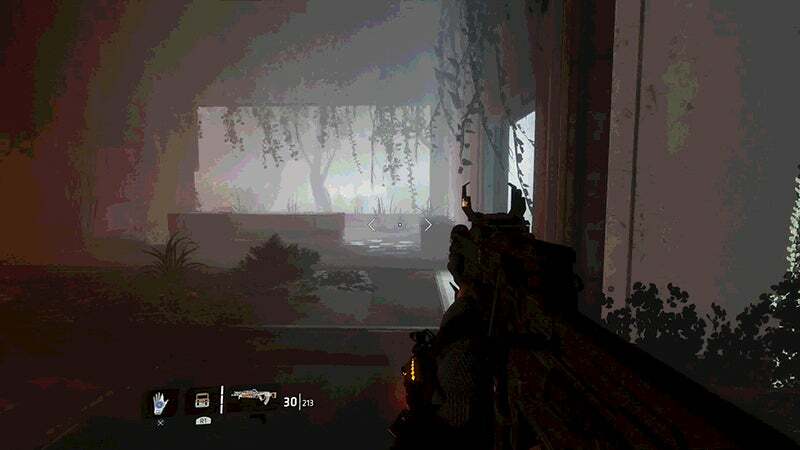 "Effects and Cause" refers to the time-travel paradox at the heart of the mission, but it also describes the way that Respawn's designers carefully guide you through their ever-more-complex series of puzzles. Their hand is always with you, nudging you in the correct direction while allowing you to feel like you're coming up with solutions and strategies on your own. It's not the first game to introduce this sort of time-travel mechanic — The Legend of Zelda: Skyward Sword comes to mind, as do Singularity and Quantum Break — but it approaches the idea with unusual focus. 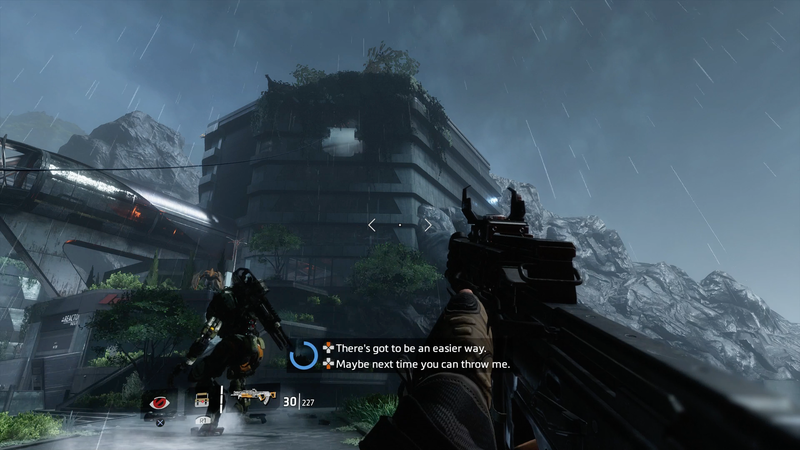 Titanfall 2's story campaign was crafted by a number of people who designed the first two Modern Warfare games, including the game's director Steve Fukuda. Their latest game represents an interesting evolution of the aggressively linear, video-game-as-action-movie approach they got down to such a science with Modern Warfare. Call of Duty games relentlessly push you forward by constantly introducing new gameplay concepts: Now you're driving a boat, now you're sneaking behind enemy lines, now you're shooting out of a helicopter, now you're a sniper with a lone target, now you're bombing the enemy from the edge of the atmosphere. You don't have much agency. You are led into these scenarios and then execute. It's a formula that has been followed by every studio to inherit the series since so many at Infinity Ward departed to form Respawn in 2010. Titanfall 2 takes a different approach. It establishes its core mechanics early on and, with each level, adds some interesting new element without changing the fundamentals. There are no vehicle missions, no sudden shifts to a new perspective, no dramatically different weapon loadouts, no prolonged turret sequences. The running, shooting, jumping and robot-ing remain consistent throughout, but each additional mechanic makes you reconsider how you do those things. One minute you're carefully skimming above a pool of toxic waste, the next you're climbing up the side of a flipped-over model home. Or you're fighting lizard monsters on cliff faces, then fighting off waves of robots inside a prefabricated suburb. 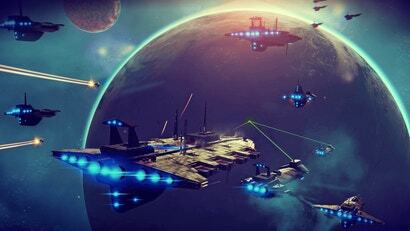 Late in the game you'll be duking it out on the hull of a speeding spaceship, but before that you were leaping through a ventilation system with the aid of an environment-manipulating remote control. 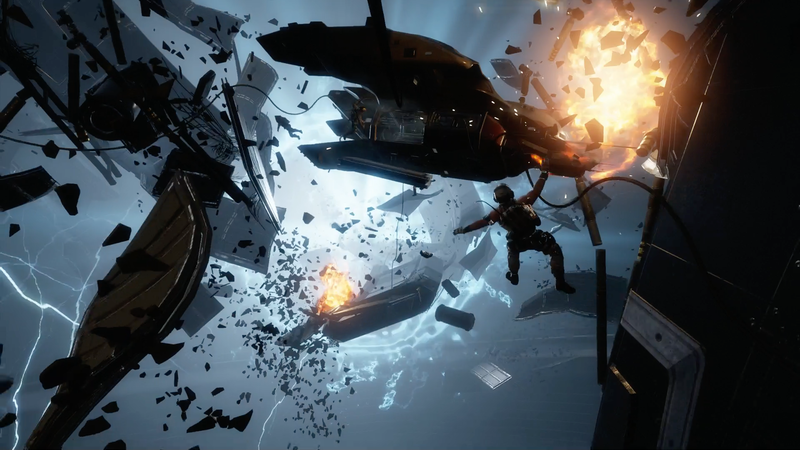 "Effects and Cause" introduces Titanfall 2's most dramatic gameplay wrinkle and is emblematic of Respawn's overall design ethos. Each new idea is explored just long enough for you to get the hang of it, then dropped before it gets old. You're always being guided through the level, but you'll feel like you're working it out for yourself. The heroes strengthen their relationship as they uncover the enemy's plot, but most of that unfolds organically during gameplay. If you're anything like me, you spent the entire mission grinning at how the whole thing works as well as it does. 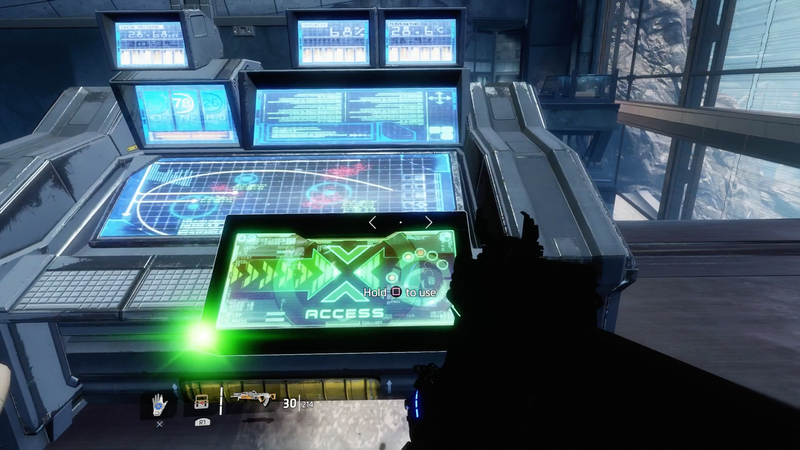 "Effects and Cause" is scripted, action-movie video gaming at its best. This mission is utterly brilliant. I honestly think it'll go down in the same way "All Ghillied Up" did. 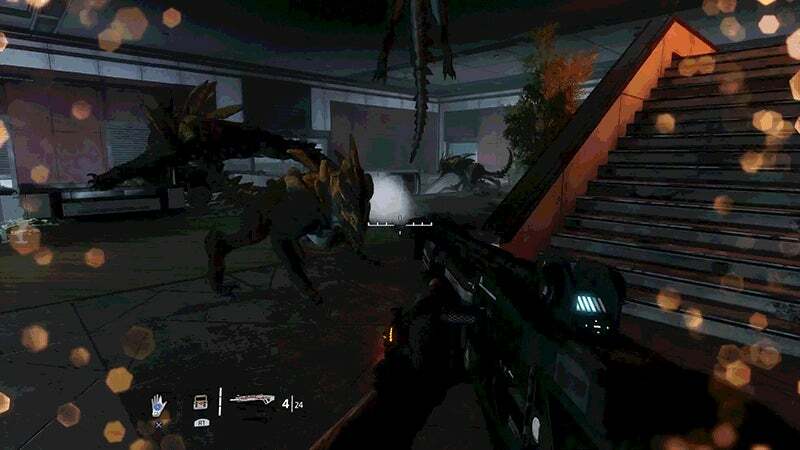 I remember, towards the end in the final room where you encounter both the predators in the present and also the shield soldiers in the past. Constantly switching back and forth in time - running towards a shield soldier in the past, going forward in time to get behind him, then coming back into the past as I'm behind him to snap his neck. It is a great mission and I do love it, but I dont think it will go the same way as all ghillied up simply due to it not getting as much exposure as CODMW. I do believe that it will become like a cult classic among the fanbase, almost like the Evil Dead films.